This article originally appeared in Uttori Life Magazine, our introvert Lifestyle magazine which you can check out in full here! Thanksgiving is here, which, of course, means that we are all meant to slow down and reflect, if only for a day or two, on all of our blessings. Oh, and in the meantime, we must also produce several large celebratory meals, go into debt giving gifts to everyone we know, navigate family, travel, wear appropriate fashion, behave appropriately, and who knows what other holiday stressors, but, you know, be grateful. Lest you think I am falling into grinch mode a bit too early, it’s not that I am against slowing down, reflecting, and being grateful. If I am against anything, it is making the Thanksgiving holiday the only standard bearer for an attitude of gratitude. This is the time of year when articles about thankfulness proliferate, yet gratitude is actually a success discipline that is important to cultivate. Rather than something that defines one day out of 365 other days, it should be integral to the mastermind’s way of life. Of course, we all know that we need to be grateful, at least during the Thanksgiving holidays, but if you’re like the 46% of women and 56% of men who don’t regularly express gratitude (according to a 2012 survey by the John Templeton Foundation), it’s probably because you are familiar with our culture’s attempt at guilting you into gratitude, but wholly unaware of what a powerful asset gratitude can be in achieving one’s goals as a mastermind. The reality is that it’s not that most people aren’t thankful about the blessings that they have in life, instead, when we focus on thankfulness as part of a seasonal priority, during a period when we may feel overwhelmed by multiple competing priorities, it’s a lot easier to push self-reflection and feelings of gratitude to the end of that priorities list. 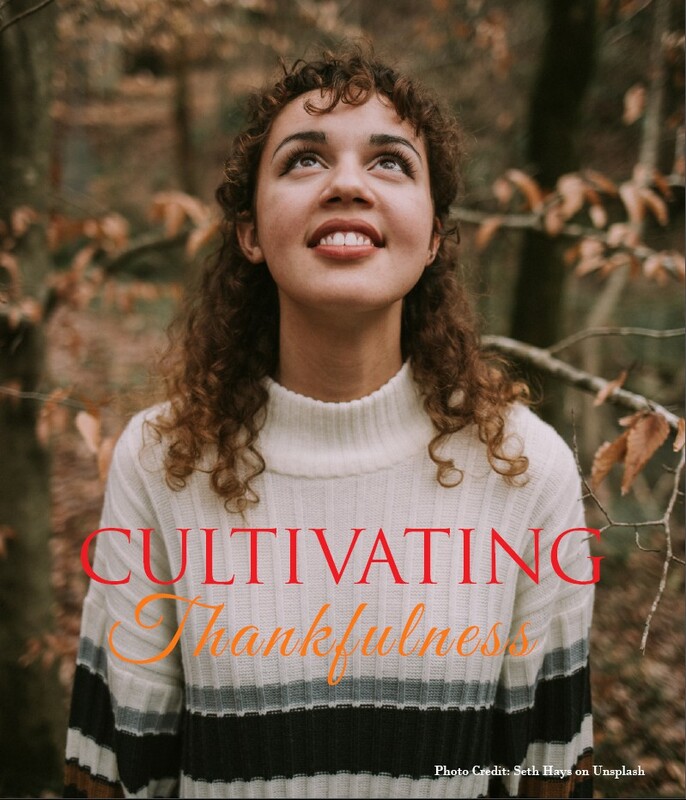 What gets lost in the shuffle is that while thankfulness may be the reason for the season, research has shown that practicing thankfulness every day helps to boost mood, eliminate stress, and help us approach problems more confidently. In other words, Thanksgiving is really a primer to help us practice a discipline that is vitally important to our well-being and success all year long. Don’t believe me? Numerous studies have identified thankfulness as a powerful tool for improved mood and happiness. In the past, the attitude of thankfulness was approached from a philosophical perspective and lacked scientific research, but now functional magnetic resonance imaging (FMRI) has shown that gratitude produces real effects on the brain. In a study by psychologists, Dr. Robert A. Emmons of the University of California, Davis, and Dr. Michael E. McCullough of the University of Miami, participants were asked to write a few sentences each week, over the course of 10 weeks, about what they were grateful for. The study showed that those who were asked to write about gratitude were more optimistic about their lives than both the group that wrote about irritations and the neutral control group. As a discipline for those who pursue the mastermind mindset, gratitude practice doesn’t have to be about current events. Gratitude can be cultivated by recalling positive memories from the past, as well as thinking about future events in a hopeful and positive way. While applying thankfulness as a discipline has been shown to help improve mood, there is one caveat. Trying to trick yourself into being grateful, simply reciting meaningless, positive affirmations, or trying to create positivity when you don’t truly feel positive does not work as a strategy, it only creates cognitive dissonance. Cognitive dissonance is when the conscious and subconscious mind are at odds with each other, and in this case “thinking positively” is merely a lie told unsuccessfully. This is important to keep in mind, especially since many thankfulness practices don’t take this into account. So how do you cultivate thankfulness when the stress is too much for you to create positive vibes? Well, the brain is a muscle, so just like we work to tone the body, to cultivate thankfulness is a daily task that must be practiced. On some days, thankfulness is easier than others, but if you can make every day a day of thanksgiving, the gratitude attitude can overcome those moments, or days, when the struggle for gratitude is all too real. Cultivating thankfulness does require effort. It requires the time to think and reflect on those things for which you are truly grateful. Many who practice gratitude as a discipline add intentional effort by writing out why they are thankful. They talk about the things they are grateful for, not in a preachy or superior way, but with a sense of genuine thankfulness because gratitude demands that we throw away any sense of entitlement and that we understand that the human experience comes with both challenges and blessings (a blessing is something that makes us happy, but it’s not necessarily things that we worked to get for ourselves). When practicing gratitude as a discipline, it’s important to remember that feeling thankful isn’t about suppressing or inhibiting negativity, it’s about redirecting your attention to those things that will enable you to move forward. When you focus on what’s real and positive in your life, it breeds a type of reinforcing resilience in your ability to overcome challenges and to continue being grateful for what you do have. Concreteness breeds belief, which in turn reinforces awareness of those things for which you can be grateful. So, as the saying goes, gratitude is an attitude, but it’s one that must be carefully cultivated. Viewing gratitude as a daily habit that improves the mind and thoughts over time means that not only is it a work in progress, it is work that requires discipline. How amazing is it that we live in a culture that can recognize the great value that gratitude has in our lives. So, let the proliferation of gratitude articles this Thanksgiving season not only inspire you to take on the task of gratitude but to make it a daily discipline to be practiced at every opportunity.